Meticulously handmade From the cutting of the leather and punching of the holes through to attaching the buckle, our shoes are produced at the hands of experienced master craftsmen. Two-Layer Stitched The inner and outer leathers are joined together by a tightly-stitched seam. The two-layer design transforms each and every Dinkelacker belt into a durable, long-lasting accessory. Cowhide The carefully polished, aniline-dyed cowhide leather with its coarser fiber structure is perfect for all our sturdier shoe models. 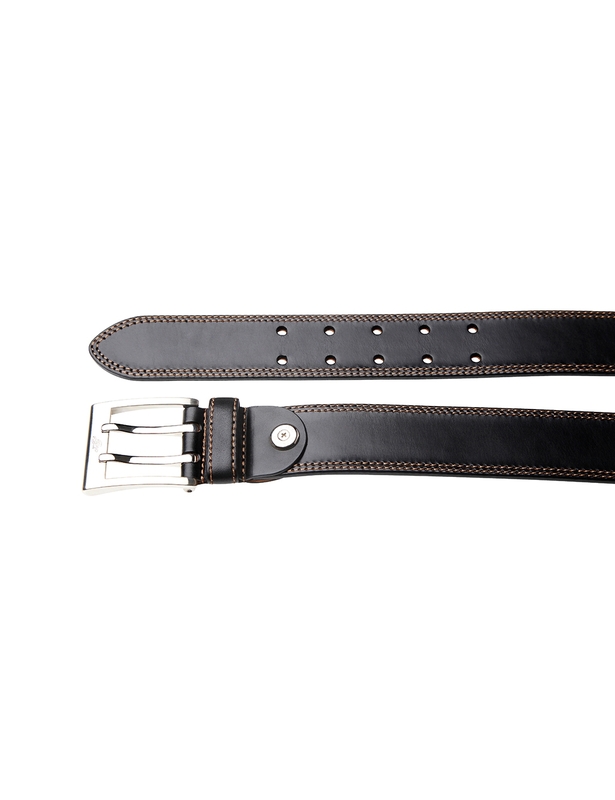 Sturdy Inner Leather This men's belt is a true full-leather belt, as the inner layer is also made of leather. The premium cowhide used provides an inherently high stability. Exclusive Belt Buckle An elegant belt buckle with a screw-fastening made of zamac, a special zinc alloy, is also suitable for nickel-allergy sufferers. Italian Finesse Our belt collection originates in a traditional factory in the heart of Italy that has specialized in the production of handcrafted belts for decades. 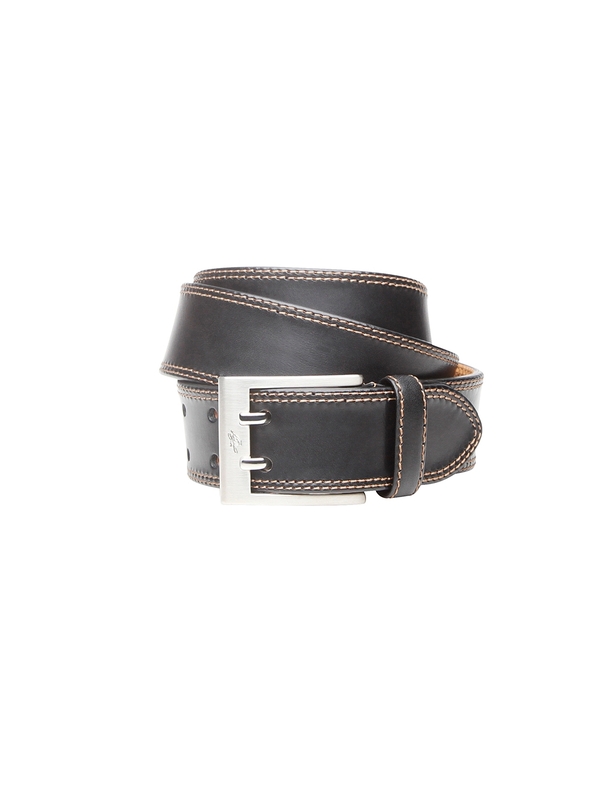 The double stitching dominates this robust men's leather belt. The sturdy calfskin is a perfect match for the light-colored threads, echoing the welted seams of the double-stitched Budapesters. The matte belt buckle with its double thorn emphasizes the rustic character of both the belt and the matching shoe models. 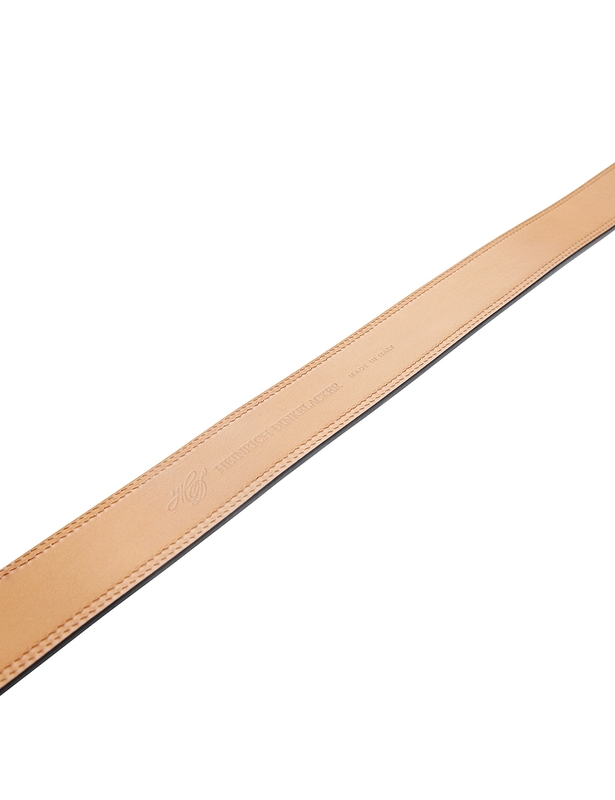 The leather is as hard-wearing as its workmanship. Only a little pomade may be needed every now and then to restore the belt to its original suppleness.